WesPak is a successful grower, packer, shipper organization in California’s fertile San Joaquin Valley. 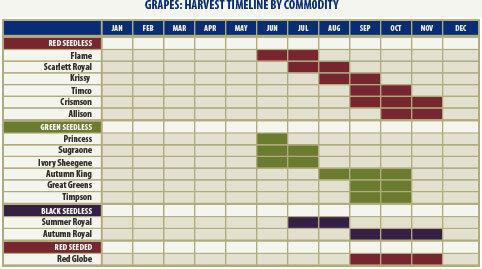 Featured commodities include premium fresh tree fruit, table grapes, and citrus. Brian Strack, U.S. Marine and 3rd generation produce man, moved from the Midwest to California with the dream of owning a packing house one day. He and his family realized that dream in January 2018 when he became the sole owner of WesPak. At WesPak, shopper satisfaction is recognized as the pathway to success. WesPak provides shoppers with the newest and most flavorful fruit varieties. New acreage continues to boost WesPak’s offering for the upcoming seasons. All WesPak orchards and vineyards are GlobalGAP certified (www1.globalgap.org), and food safety continues to be a top priority for the organization. Our packing facilities earned a Superior rating from Primus (www.primuslabs.com). WesPak grows and packs fruit that is perfectly suited to the climate and soils of California’s San Joaquin Valley. 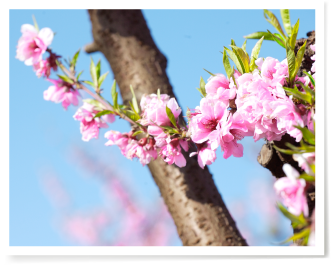 Stone fruit (apricots, plums, peaches, and nectarines), citrus (lemons, mandarins, navel oranges, blood oranges, valencias, grapefruit, minneolas, and cara cara’s) and table grapes are among our top producing and selling commodities. WesPak is proud to provide a full range of premium fresh produce and convenient sourcing for our export and retail customers. WesPak has a strong commitment to our customers and the environment. 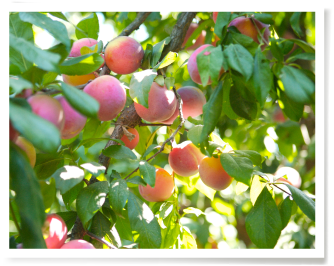 We are proud to grow and offer organic apricots, peaches, plums, pluots, and nectarines to both our retail partners and their consumers. All varieties have been carefully chosen and planted to ensure that every piece of organic fruit will have superior flavor. Are you a fruit producer looking for custom packing and cold storage services? WesPak has the expertise to serve you well. With three modern pack lines, WesPak has the capability to put up a wide variety of fruits in any pack style. Boasting eight pre-cooling rooms and 62,000 square feet of cold storage, WesPak can quickly and efficiently prepare your product for shipment. Call Jason Hanline at 559.897.7700 to arrange for the packing and cooling of your upcoming crop. Our fruit is marketed and sold by the WesPak sales team—experts in the tree fruit, grape, and citrus categories. With an experienced staff and our hands on approach, we provide our customers with streamlined communication and a broad array of premium tree fruit, grapes, and citrus. © Copyright WesPak Inc., All Rights Reserved.